Authentic people are likable, humble, easy to talk to, and they don't try to be better than anyone else. Be yourself and act in your clients' best interests and there will be no doubt that you are trustworthy. Make it easy for clients to do business with you. Successful agents go out of their way to make time for their clients. Have knowledgeable support staff and adjust your availability for client calls and it will show your clients that you care about helping them. Maintain an updated website that provides answers to frequently asked questions. Most people buy on emotion over logic. Avoid playing into your client’s feelings and just focus on finding the best solutions for them instead. When they’re satisfied with their decision, there’s no reason for the client not to recommend you to friends, colleagues, and family. Be transparent about your strengths and your weaknesses. With the ever-changing landscape of insurance products, you may not always know the answer to your clients' questions immediately. If this is the case, tell your client that you'll do some research and follow up with them. Successful advisors are continually growing and are constant students. They’re aware that there’s always room for improvement, and because of that, they know how to inspire and support others and share those resources. If you can't provide the right solution, then guide your client in the proper direction to find it, even if that means you won't ultimately make the sale. Don’t be afraid to reach out and partner with someone that can help you with a solution. Remember, 50% of something is better than 100% of nothing. Do you put your customers first, or do you put revenue first? People know when they're viewed as just a number, and even if they do buy from you, this does not create long-term trust or encourage referrals. Offer the right products that will help your client reach their financial goals. This is the best way to bring value and foster client loyalty. People feel more comfortable when they know what to expect. Tell your client when you'll be in touch with them and be true to your word. Setting the proper expectations will go a long way in demonstrating that you’re a trustworthy financial professional. Consider the timeline of the tasks a carrier needs to complete to get a policy issued and communicate openly about any hurdles you are facing. Don’t assume that your client understands our industry acronyms, so take the time to make sure they know and feel comfortable with the process. Issuing a policy takes time and is a process. Avoid misinterpretations with open communication. 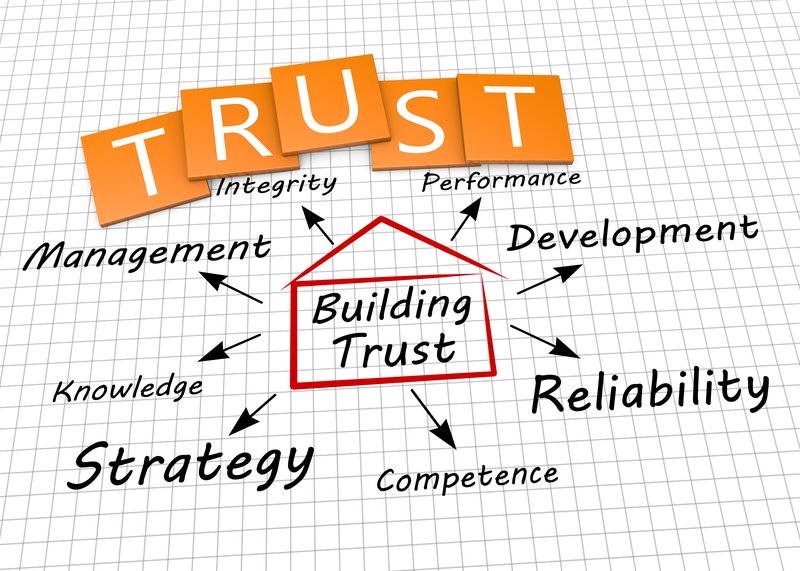 Being genuine and trustworthy can increase your potential for getting referrals, as trust is a valued aspect of any client relationship. Learn about how to develop a referral system with our Referral Guide!